I initially met Isabel Cosplay through the Cosplay Marketing group on Facebook. Little did I know that Isabel is an active Florida con-goer, so I had the chance to meet up with her at Florida Supercon this past July. We were able to film a cute YouTube collab on How To Survive Comic-Con and I got to know her a little better as a person and a cosplayer. 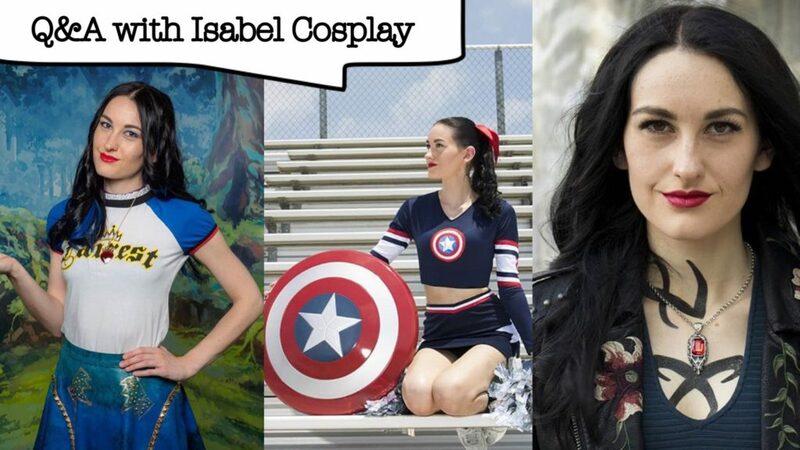 Isabel is overall, a sweet and dedicated cosplayer who combines fitness, cosplay, and fandom all under one name! 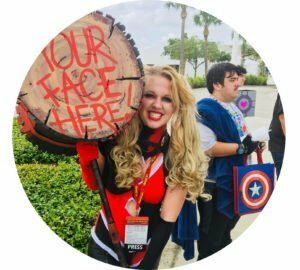 Cosplay & Coffee (C&C): When did you start cosplaying? Isabel Cosplay (IC): I started officially cosplaying about two years ago and since then I’ve kind of gotten more into it. When I first got into it, it was just like a once and awhile hobby thing. Now I’m more into it, like 24/7. C&C: What is your favorite cosplay that you’ve done so far? IC: Oh man, that’s a hard one. Probably one of my Shadow Hunter cosplays. Just because I’ve made the weapns and the armor for it, where some of the other things I’ve made like half of it, and then had to get the accessories from somewhere else. C&C: What are some future cosplays that you can announce right now? IC: Oh my gosh! More Shadow Hunter, of course. And then, I’m working on some Deadpool mashups. And then I have some DC and Marvel plans, but I’m not 100% sure yet what character I’m going with. C&C: How many of your friends cosplay with you? IC: Honestly, I don’t think there’s any that cosplay with me. I usually end up making friends at conventions and then talking to them after that. But we’re usually so far away that we end up having to meet up for a day or something. C&C: What do your friends and family think of you cosplaying? IC: My mom is totally chill with it. She helps me with all my stuff at cons. And my dad thinks it’s kind of cool because he’s into Star Trek and everything. And my brother just thinks I’m a nerd! C&C: Who are your cosplay inspirations? IC: Actually, it’s kind of weird; I know that a lot of people have like cosplayer that they look up to, but I more look up to the production department for TV shows. So I’m always aiming for production level when I try to cosplay stuff. C&C: Do you still dress up for Halloween even though you cosplay year-round? IC: Uh yes, because on Halloween I get to do the really gory stuff and special effects makeup! C&C: What other hobbies do you have besides cosplay? IC: Well my main job is acting and modeling, so pretty much besides cosplay, it’s just fashion and like fashion blogging and I love the beach! So anytime I can go do something active on the beach, I’m good! C&C: Where all have you traveled? IC: All over, honestly. California Florida, New York, and Canada this past year which was really fun because I had never been out of the country until now. C&C: And the last question is—well I can’t ask you how you take your coffee because you said you’re allergic to coffee! IC: Haha, yes. Tea instead! C&C: So how do you stay caffeinated? IC: Definitely tea. I like Green Tea Frappuccino’s from Starbucks. And I just take the dairy out and put soy milk in! Give Isabel a follow to see more of her cosplays and fitness videos!